A Hero & My friend Ed Martin Was Laid to Rest Today ! and Ed Martin was one of those person's in my life. I was living in Overtown, the inner city of Miami, at the time, ministering to Haitian children and their parents, and I loved it! What an exciting time in my life it was, as I absolutely loved having the opportunity to pour out into these young ones lives, and let them know that Jesus loved them, and that HE had a plan for their lives!! One evening during our prayer time, Brian, who was also in the ministry, shared how he had heard of a woman who was in solitary confinement in the Broward Correctional Institution, and began to explain why she was imprisoned. Joan, as he went on, had entered an abortion facility in Pensacola, and chained herself to a suction machine to stop abortions that day, and to save innocent lives from death, hence, the reason for her imprisonment. Brian also told us that there was a rally scheduled in Tallahassee to petition then Governor Martinez to pardon Joan Andrews, and that some of us should go and be apart of this effort. I remained silent while he shared this news, as I had a dirty little secret that no one in the ministry knew about, and that was that I had had multiple abortions before becoming a Christian on June 29th of 1986. I had a radical born again experience, a Damascus road transformation, I truly had become a new creation, everything was new. I was delivered of drugs, drinking...everything; but the one thing that I could not understand in this beautiful salvation, was how God could forgive me for the five children I had killed by abortion, so this remained my secret. But, now my ministry partners were going to a rally to ask the governor to pardon a woman who through her sacrifice, saved babies that day from abortion! Those feelings of shame, guilt, regret, and sheer sickness over the thought of what I had done to those children were like the weight that is talked about in Pilgrim's Progress of the load Christopher carried. 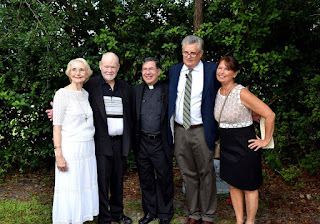 So, fellow ministry partners Brian and Rob went up to the rally in Tallahassee, and through the efforts of all who went, Governor Martinez did pardon Joan! When they arrived back home, they were ecstatic, and overjoyed that they were able to be there and be a part of this tremendous move of God. At the same time, they were broken, as their eyes had been opened to the horrors of abortion. 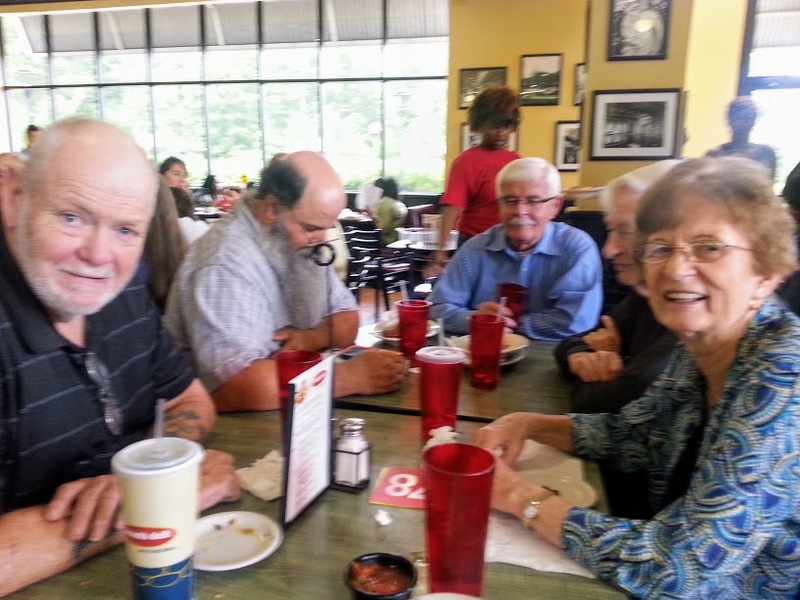 As we all sat around the table that evening, they shared their experience at the rally, and how they had met the most amazing, and humble man, the one who had organized the Tallahassee rally to set Joan Andrews free....Pastor Ed Martin. already lost their little lives. The fire that resonated in Ed's heart for the injustice against these ones, began to burn in their hearts as well! I remember Brian said, "If we care so much about our kids here that are alive, we have to care about the children in the womb." It was like a knife that went through my heart, and I felt as if God was telling me to confess my abortions to them, but I was so afraid. Brian shared more about the innocent babies, and I felt the nudging of God more, but I kept resisting, until....I could not keep my secret hidden any more....I blurted out......"I've had five abortions! I thought for sure they would throw me out of the ministry, that I was dirty, a murderer, and would have no part ministering to the children I loved so much. But, my fears were subsided as each one around the table stood up and surrounded me, they laid hands on me and prayed for me. Tears poured out of me, the weight I had carried began to fall off as I repented of this sin of murder. I cried out to the Lord to forgive me, and HE heard my cry. He washed me white as snow! It was HIS kindness that led me to repentance, and the chains fell off of me, and I was free! Ed at the OSA National Event in Louisville! I will forever be grateful to my friends in Miami, for in the inner city with rats, roaches, and gunfire, is where I found freedom. Through Ed Martin's dedication and faithfulness, He used him to help set me free! After that, our ministry became involved in rescuing innocent children from death at the very gates of hell...the front door of the abortuaries! Ed Martin, along with Don Treshman were the founders of Rescue America, and we became very involved and close with Ed, rescuing alongside of him at many rescues they organized. We saw many children saved, and there were many things that happened. One of the rescues that Ed organized, that will forever be etched in my mind, began in Orlando. It was to be a three day gathering of rallies and rescues. To our surprise, and a pleasant one at that, all the mills in Orlando announced that they would be closed for the weekend while Rescue America was in town! Another strategy arose, and at 2:00am, we all piled in Christian in Action buses, and headed for St. Petersburg where no one over there was expecting us! What a time of worship, prayer and fellowship on the ride over, one I will never forget. When we arrived at the mill, we all piled out of the buses, sat down in front of the doors, front and back, and began worshiping the Lord and praying. The workers of this place of death finally arrived and were completely shocked, and of course called the police. When they arrived, they gave the usual warnings for us to leave, and after the third time, they began arresting us. During this time, one woman in scrubs, walked up to the front and began beating on the rescuers to let her in. She became so violent, that the police had to pull her away. Eighty-nine Christians were arrested that day for trying to save innocent lives from a horrible death, and were later released that day with a pending court trial. Most of the rescuers worked out a plea deal with fines and probation, while ten of us went to trial. Ed, was one of them, so was I. We were not allowed to use the word abortion during the trial, or use the necessity defense, thus, we were found guilty and sentenced to six months in the St. Petersburg correctional institution. When I first began my sentence, I was a bit fearful, but on the third day during a 'recess' time outside, a young woman/inmate came running toward me yelling, 'thank-you, thank-you, thank-you!" I looked at her and said, "for what?' She then began to tell me that last summer she had gone to get an abortion, but when she arrived, there were so many people surrounding the abortion clinic she went to that she could not get inside. But, as she shared, gentle women surrounded her, offering help, which she received, and was then taken to a pregnancy center, where she was presented another way and instead of the death she had planned for her child, life was chosen for this gift of God! She also shared with me that she had been a back-slidden Christian and rededicated her life back to Christ Jesus, and turned herself in for past crimes she had committed, hence, the reason she was locked up with me at the Pinellas County Jail! She looked at me, and said, "because of you all, I have the baby boy I always wanted, and am following Jesus....thank you so much! I knew I was where I was supposed to be! And you can't imagine Ed's thankfulness to the Lord, and sheer joy, when I got the message to him, that this precious life had been saved on the day of the rescue, and that this young lady was following the Lord! Our incarceration was worth it for the life of this child! I was also blessed to be incarcerated with a woman named Mindy Straughan (fellow rescuer), and we were able to minister to each other, and to the inmates, which was an awesome and wonderful experience. Toward the end of our stay, a woman was put into the same pod with Mindy and I. She was crying hysterically, and we began to comfort her. She began to tell us that she was arrested for her third time drunk driving charge, and that her life was just one big mess. Suddenly, she noticed all the cards that were set up on our desk, and noticed something 'pro-life'. She looked at both of us, and yelled, "You, it was You....you stopped me from going to work last summer!" At that, she stormed out of the pod and went to the T.V. room. At that moment, I remembered the woman who was pounding on those of us blocking the front door the day of the rescue, and realized that it was her! I shared this with Mindy, and we knew automatically that this was a soverign act of God to place this woman in the very pod/cell with us! Eventually, she had to come back to the pod she had been assigned, and for the next 18 days we loved on her, and shared Jesus with her. 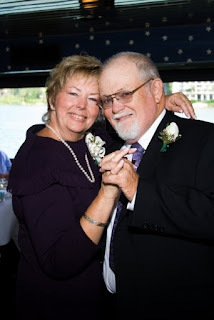 Her job at the mill was the abortionist assistant, and she was the very person who put the babies back together again after each abortion, to make sure all parts were there, and that none were left inside the woman. And this.....she shared, was why she drank. Every night she would have horrible nightmares, of arms, legs, torsos, and heads of the little babies....over and over. And she would try to drink herself into oblivion to drown out the cries, and the scenes of these body parts over and over...but to no avail. But now she was stuck with us, and we were able to show her another way through Jesus. We ministered to her up until the minute she left, and she did leave the abortion industry. She left that jail a different person! And we praised the Lord.....including Ed, who, Mindy and I communicated with throughout our stay! 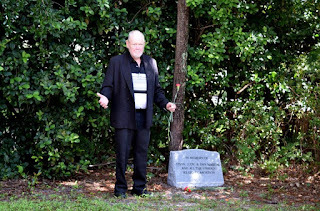 I remember anthor time in Melbourne, FL, at one of the many efforts to save babies and shut that place of death down (Aware Woman), Ed had a jar with a little baby that had been killed by abortion with him. He carried this little baby to show everyone that these little ones in the womb are persons, and should be protected, have the same rights as you and I and to not be brutally killed. This little baby's face had been screaming, you could see it...it was horrible, but I asked Ed if I could carry little Stevie, which I did. I was able to show Stevie to a reporter that day who had been rabidly pro abortion until she saw the screams on his face. We ended up speaking for a long time, and she changed her stance on abortion that day! And this was why Ed carried this baby with him, to show the humanity of the unborn, that they were persons just like you and I, and must be protected....and in the meantime, we would rescue them from a brutal death! Another time I remember, was when we were all heading out to Houston. A group of us stayed by the ocean the night prior to the rescue. Chet Gallagher, Joan Andrews, Ed, Bo Dally and several others of us were there, and what a sweet time of fellowship, one I will never forget...and a time we needed to prepare us for the day that would follow. We were separated into two groups the following morning...the one I was with went to a high rise building. We were then split up into many small groups, and each of us were to find the abortion mill inside this high rise!!! So we all entered the building and began to look for this killing center. Finally one of the teams found it, and entered into the office, sat down on the chairs and began to pray. They then got up, went past the receptionist's office and down the hall toward the 'surgery' rooms, sat down and proceeded to lock themselves together with kryptonite locks. When the receptionist saw this, she flew her papers into the air, and immediately picked up the phone, and could be heard speaking to the abortionist. Meanwhile, Bo and I had the keys to the locks, and finally found our way to the abortuary where police were already there standing outside the doors. They asked us who had the keys, and we informed them that they could have the keys if they gave us their word that this killing center would not kill any children that day or anymore! Well, they didn't like that too much, so we left the building. The fire trucks were called, and the jaws of life entered the building, which took a long time, and finally the rescuers came out, but, miraculously, none of them were arrested, and, the abortionist quit that day, and that mill never opened back up again! Hallejuah!!!! 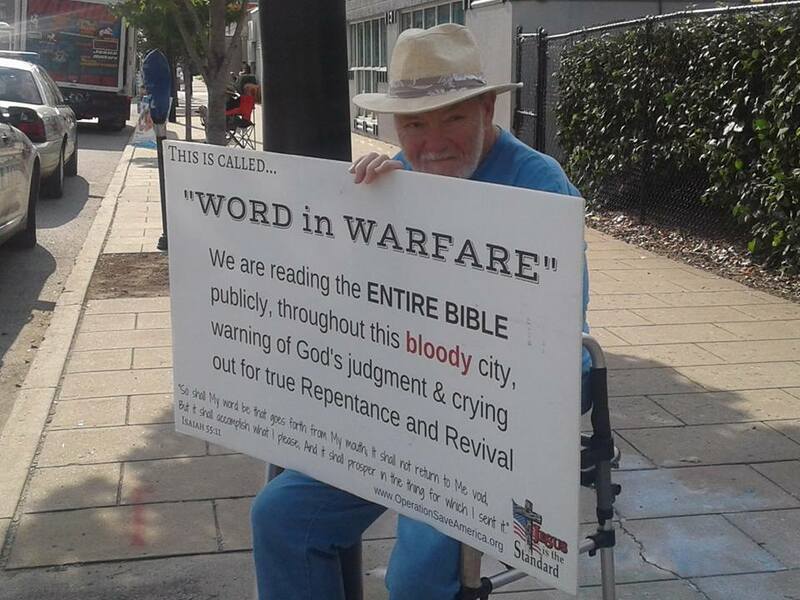 Because of Ed and Don's step in faith, in calling Christians to Houston on behalf of little baby boys and girls, this death camp shut down for good, lives were saved, and hearts were touched! And I praise the Lord to this day! Ed also is responsible for awakening the hearts of Christians in the Central Florida area to the horrors of abortion. Even though Ed & Linda lived in Ocala, he would drive every week to Orlando to minister in front ofthe killing centers there. Through his faithfulness, presence and love for the unborn he was able to show the body of Christ the absolute necessity of being in front of the abortion mills, speaking up for those who have no voice and rescuing those unjustly sentenced to death. Judy Madsen Johnson and Patte Smith are two incredible women who heard the call from Ed, and became amazing warriors for the unborn among so many others. Patte continues to this day pleading for the lives of the babes, and Judy, up until major health problems did as well, but continues to be a strong advocate and voice for the unborn, writing a book, "Stories from the Front Lines", depicting and telling stories of so many who have fought and continue to fight in this battle for life. 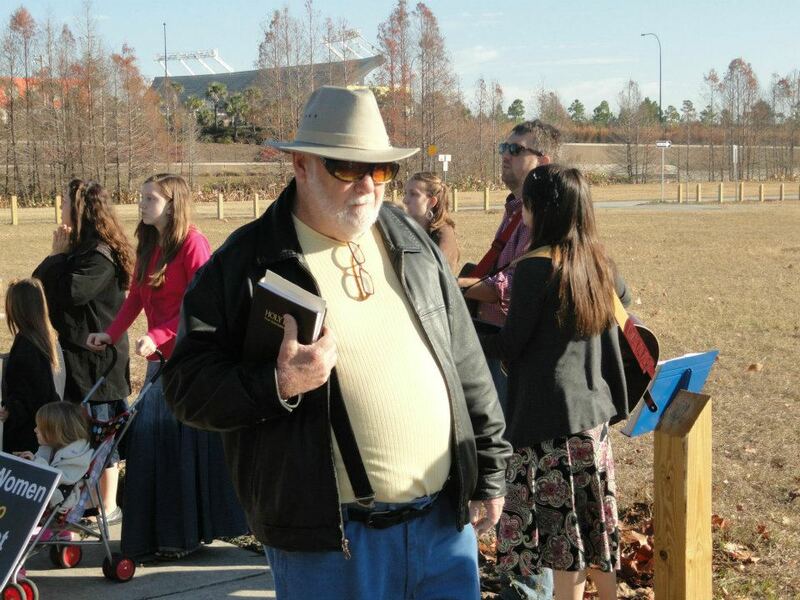 While traveling to Orlando to minister and awaken the hearts of the body of Christ to be that voice for the unborn, he faithfully ministered for years at the Ocala abortuary owned by the infamous James Pendergraft....which, thank the Lord shut down a few years ago!!! Hallejuah! Ed and Linda later moved to Jacksonville and God used them to awake the body of Christ to the brutality of abortion there as well, and now all the mills are covered on a continual basis as is Orlando.....because of his love for the babies, his love for Christ.....he cried for these babies, and people heard and now are there at these death camps speaking up for the babes! 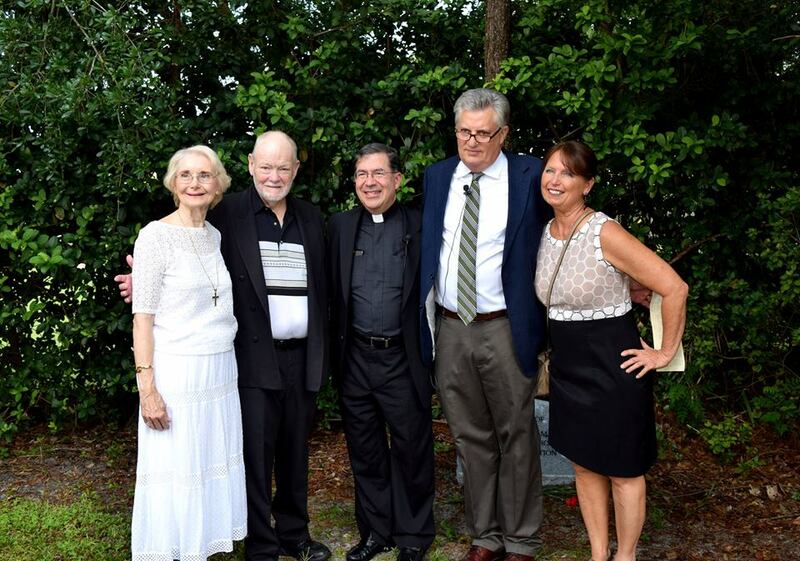 The most recent visit of Ed & Linda to the central Florida area was for our National Day of Remembrance held at Pine Ridge Presbyterian Church where three very precious children are buried: Steve, Judy and Don (Dan) Martin. Years ago, when the bodies of these children were recovered by ChristyAnne (Collins) Dickson, no one would allow for their burial because they did not have a death certificate. 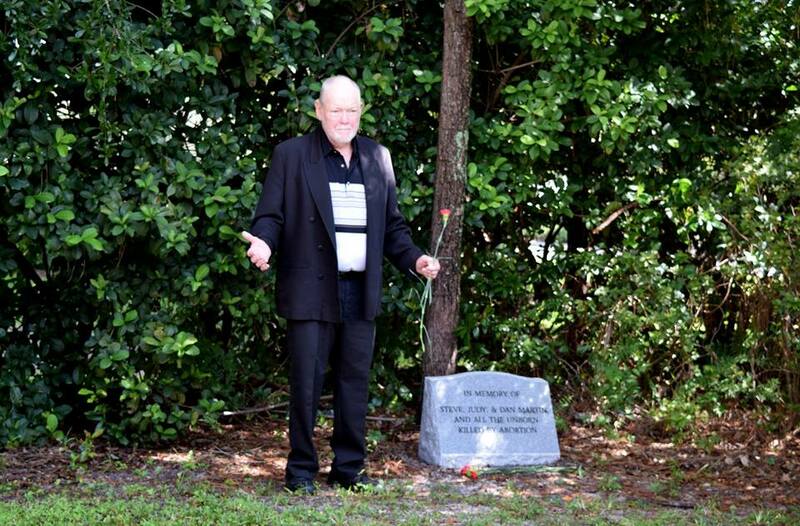 Understanding that these children needed a proper burial, Pastor Bill Colclasure allowed the babies tobe placed on church grounds, where people could visit and remember their tiny lives. honor of these babies as well as all the children who have died from abortion. Ed gave a beautiful eulogy for these precious babes, one that many will carry with them always. I'm so thankful that last summer at the OSA (Operation Save America) National Event, that I was able to stand on the street holding a sign with my good friend Ed & his wife Linda, pleading together for the lives of the babes....this will always be a precious memory to me. 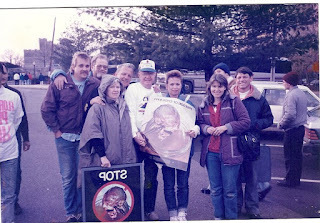 Ed and many of us traveled many states together on behalf of the unborn, we've been to many rallies speaking up for these innocent babes, organizing events to awaken the hearts of God's people to this holocaust. 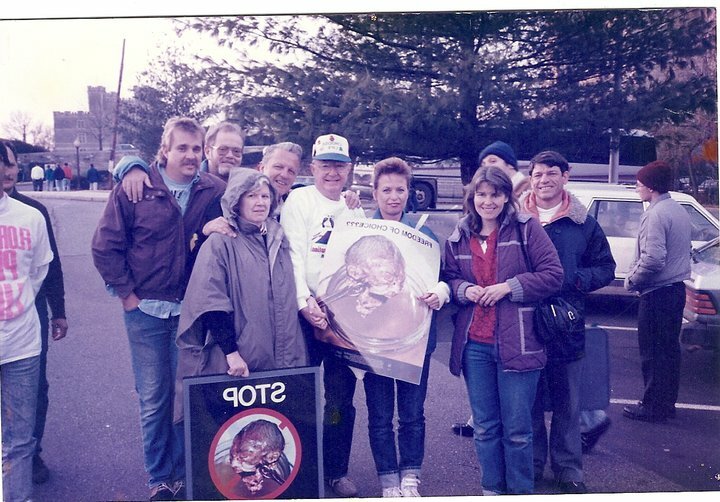 Many have come and gone, but Ed remained faithful, never giving up, and always being in front of the abortion mill, crying out to the mom's to save their baby! There are so many other stories I could tell of how God used Ed in so many ways, but the thing that stands out to me, was his faithfulness, persistence, an over-flowing love for the unborn babies, a love for Jesus that shown everywhere he went, his love and devotion for his beautiful wife Linda who supported him with her whole heart throughout all these years. There is much one can learn from Ed in this battle for life, and that was his unfailing love to see that the unborn are persons, that they are worth fighting for, that their rights must be restored, and must be saved from pending death. For Ed, taking his eyes off the babies was not an option...he was fighting for their rights, sacrificing his life for the unborn. Montgomery at the OSA national event. the years he fought for the rights of the unborn...never seeking recognition, only doing what God had shown him to do. What a legacy Ed leaves behind, and although I will miss him terribly, along with so many other people, too many to count....he is now in the arms of Jesus, and can see all the little ones whom God allowed him to rescue. And for this broken woman, who had such a hard time understanding how God could forgive me....Ed had so much love for Jesus, and because of this love, he had so much compassion for post-abortive women like me. I'll never forget the words Ed said to me at a Memorial to the unborn he had organized, with little white crosses everywhere. I was sitting by a cross weeping hysterically, and he gently said..."Michele, God has forgiven you, your babies are with HIM, and HE has a plan for your life, God is going to use you. Speak up for your babies, for all the babies that have died, and are slated to die. Share your testimony, never stop!" And this is what I continue to do! Thank you Ed, my dear friend for the love you extended to me, and everyone you were around. And thank you Lord for using Ed in my life in such a tremendous way. Well done good and faithful servant....well done....I will miss you!